My laboratory is studying the function and the development of bird song. Our study species is the song sparrow (Melospiza melodia). Although we have worked in both the lab and the field, our present research is entirely in the field. The use of elaborate acoustic vocalizations (‘song’) for communication is common in a wide variety of animal groups. In the oscine passerines (songbirds), song has an additional, intriguing aspect: it is learned, with much of that learning occurring very early in life. Song learning in songbirds has been extensively analyzed in the laboratory and has become a major model system for studying the neurobiology of learning. Its value as a model system is enhanced by its many parallels with human language learning. These parallels include an early sensitive period, a perceptual filtering mechanism tuned to species communication signals, a crucial role for auditory feedback in normal development, a separation between sensory and motor learning, and an early subsong or babbling stage. Work on the neural basis of song perception and production in songbirds has revealed additional parallels between the neural centers for song in birds and those for language in humans. In this context, understanding the normal course of song development in songbirds becomes crucial if this model system is going to provide general insights into the development of vocal communication systems in general and human language in particular. Despite the great interest in bird song learning, our understanding of normal bird song development remains surprisingly incomplete. One reason this is so is because most studies of song learning to date have been laboratory experiments from which essentially all social features have been removed. Recent research has suggested, however, that social factors may be the key to understanding song learning. Our primary interest now is in the role of social factors in song learning. (4) assorted other papers not fitting into these categories. Akçay, Ç, McCune, K., Campbell, S. E. & Beecher, M. D. (in prep.) Competition not cooperation drives song learning in song sparrows. Akçay, Ç, Campbell, S. E. & Beecher, M. D. (in review) Aggressiveness, reliable signaling and survival in a wild songbird. Beecher, M. D. (in press). Communication, information & language. In Handbook of Comparative Psychology, American Psychological Association. Akçay, Ç. & Beecher, M. D. (2015) Team of rivals in chipping sparrows? A comment on Goodwin & Podos. Biology Letters 11, 20141043. Akçay, Ç., Anderson, R., Nowicki, S. Beecher, M. D & Searcy, W. A. (2015) Quiet threats: soft song as an aggressive signal in birds. Animal Behaviour 105, 267-274. Akçay, Ç, Reed, V. A., Campbell, S. E. & Beecher, M. D. (2014) Song sparrows do not learn more songs from aggressive tutors. Animal Behaviour, 94, 151-159. Searcy, W. A., Akçay, Ç., Nowicki, S. & Beecher, M. D. (2014) Aggressive signaling in song sparrows and other songbirds. Advances in the Study of Behavior, 46. 89-125. Beecher, M. D. & Akçay, Ç. (2014) Friends and enemies: how social dynamics shape communication and song learning in song sparrows. In Yasukawa, K. (editor) Animal Behavior, Volume 3, pp. 33-61, Preager: Santa Barbara, CA. Akçay, Ç., Tom, M., Campbell, S. E. & Beecher, M. D. (2013) Song type matching is an honest early threat signal in a hierarchical animal communication system. Proceedings of the Royal Society of London, Series B., 280, 20122517. Templeton, C. N., Akçay, Ç., Campbell, S. E. & Beecher, M. D. (2012) Soft song is a reliable signal of aggressive intent in song sparrows. Behavioral Ecology & Sociobiology, 66, 1503–1509. Templeton, C. N., Campbell, S. E. & Beecher, M. D. (2012) Territorial song sparrows tolerate juveniles during the early song-learning phase. Behavioral Ecology, 23, 916-923. Templeton, C. N., Burt, J.M., Campbell. S. E., Lent, K., Brenowitz, E. A. & Beecher, M. D. (2012) Immediate and long-term effects of testosterone on song plasticity and learning in juvenile song sparrows. Behavioural Processes, 90, 254-260. Akçay, Ç. & Beecher, M. D. (2012) Signalling while fighting: further comments on soft song. Animal Behaviour. 83, e1-e3. Akçay, Ç, Searcy, W. A., Reed, V. A., Templeton, C. N., Campbell, S. E. & Beecher, M. D. (2012) Who initiates extra-pair mating in song sparrows? Behavioral Ecology, 23, 44-50. Templeton, C. N., Reed, V. A.,, Campbell. S. E. & Beecher, M. D. (2012) Spatial movements and social networks in juvenile male song sparrows. Behavioral Ecology, 23, 141-152. Akçay, Ç, Tom, M., Holmes, D., Campbell, S. E. & Beecher, M. D. (2011) Sing softly and carry a big stick: soft song as an aggressive signal in song sparrows. Animal Behaviour, 82, 377-382. Searcy, W. A. & Beecher, M. D. (2011) Continued scepticism that song overlapping is a signal. Animal Behaviour, 81, e1-e4. Hill, C. E., Akçay, C., Campbell, S. E. & Beecher, M. D. (2011) Extra-pair paternity, song and genetic quality in song sparrows. Behavioral Ecology, 22, 73-81. Akçay, Ç, Reed, V. A., Campbell, S. E. & Beecher, M. D. (2010) Indirect reciprocity in territorial defence by song sparrows. Animal Behaviour, 80, 1041-1047. Nulty, B., Burt, J. M., Akçay, Ç., Templeton, C. N., Campbell, S. E. & Beecher, M. D. (2010) Song learning in song sparrows: Relative importance of autumn vs. spring tutoring. Ethology, 116, 653-661. Beecher, M. D. (2010). Birdsong and vocal learning during development. In Koob, G. F., Le Moal, M. & Thompson, R. F. (editors) Encyclopedia of Neuroscience, Volume 1, 164-168. Templeton, C. N., Akçay, Ç., Campbell, S. E. & Beecher, M. D. (2009) Juvenile sparrows preferentially eavesdrop on adult song interactions. Proceedings of the Royal Society of London, Series B. 277, 447-453. Searcy, W. A. & Beecher, M. D. (2009) Song as an aggressive signal in songbirds. Animal Behaviour,78, 1281-1292. Akçay, C., Wood, W. E., Searcy, W. A., Templeton, C. N., Campbell, S. E. & Beecher, M. D. (2009) Good neighbour, bad neighbour: Song sparrows retaliate against aggressive rivals. Animal Behaviour, 78, 97-102. Beecher, M. D. (2008) Function and mechanisms of song learning in song sparrows. Advances in the Study of Behavior, 38, 167-225. Burt, J. M. & Beecher, M. D. (2008) The social interaction role of song in song sparrows: implications for signal design. Comparative Cognition & Behavior Reviews, 3, 86-98. Beecher, M. D. & Burt, J. M. (2008) More on the cognitive ecology of song communication and song learning in the song sparrow. In R. Dukas & J. Ratcliffe (eds. ), Cognitive Ecology II, pp. 49-70, Chicago: Univ. of Chicago Press. Beecher, M. D., Burt, J. M., O’Loghlen, A. L., Templeton, C. N. & Campbell, S. E. (2007) Bird song learning in an eavesdropping context. Animal Behaviour, 73, 929-935. 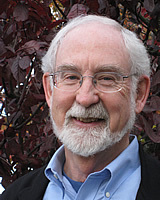 Burt, J. M., O’Loghlen, A. L., Templeton, C. N., Campbell, S. E. & Beecher, M. D., (2007) Assessing the importance of social factors in bird song learning: A test using computer-simulated tutors. Ethology, 113, 917-925. Nordby, J. C., Campbell, S. E. & Beecher M. D. (2007) Selective attrition and individual song repertoire development in song sparrows. Animal Behaviour, 74, 1413-1418. Beecher, M. D. & Brenowitz, E. A. (2005) Functional aspects of song learning in birds. Trends in Ecology & Evolution, 20, 143-149. Brenowitz, E. A. & Beecher, M. D. (2005) Song learning in birds: Diversity and plasticity, opportunities and challenges. Trends in Neuroscience, 28, 127-132. Beecher, M. D. & Campbell, S. E. (2005) The role of unshared songs in singing interactions between neighbouring song sparrows. Animal Behaviour, 70, 1297-1304. Beecher, M. D. & Burt, J. M. (2004) The role of social interaction in bird song learning. Current Directions in Psychological Science, 13, 224-228. Reeves, B. J., Brenowitz, E. A. & Beecher, M. D. (2003) Seasonal changes in avian song control circuits do not cause seasonal changes in song discrimination in song sparrows. Journal of Neurobiology, 57, 119-129. Nordby, J. C., Campbell, S. E. & Beecher M. D. (2002) Adult song sparrows do not alter their song repertoires. Ethology, 108, 39-50. Burt, J. M., Bard, S. C., Campbell, S. E. & Beecher, M. D. (2002) Alternative forms of song matching in song sparrows. Animal Behaviour, 63, 1143-1151. Nordby, J. C., Campbell, S. E. & Beecher M. D. (2001) Late song learning in song sparrows. Animal Behaviour, 61, 835-846. Burt, J. M., Campbell, S. E. & Beecher, M. D. (2001) Song type matching as threat: a test using interactive playback. Animal Behaviour, 62, 1163-1170. Beecher M. D., Campbell, S. E., Burt, J. M., Hill, C. E. & Nordby, J. C. (2000). Song-type matching between neighbouring song sparrows. Animal Behaviour, 59, 21-27. Beecher, M. D., Campbell, S. E. & Nordby J. C. (2000). Territory tenure in song sparrows is related to song sharing with neighbors, but not to repertoire size. Animal Behaviour, 59, 29-37. Nordby, J. C., Campbell, S. E., Burt, J. M. & Beecher M. D. (2000) Social influences during song development in the song sparrow: a laboratory experiment simulating field conditions. Animal Behaviour, 59, 1187-1197. Peters, S., Searcy, W. A., Beecher, M. D. & Nowicki, S. (2000) Geographic variation in the organization of song sparrow repertoires. Auk, 117, 936-942. Nordby J. C. , Campbell, S. E & Beecher, M. D. (1999). Ecological correlates of song learning in song sparrows. Behavioral Ecology, 10, 287-297. O'Loghlen, A. L. & Beecher, M. D. (1999). Mate, neighbour and stranger songs: a female song sparrow perspective. Animal Behaviour, 58, 13-20. Hill, C. E., Campbell, S. E., Nordby, J. C., Burt, J. M. & Beecher, M. D. (1999). Song sharing in two populations of song sparrows. Behavioral Ecology & Sociobiology, 46, 341-349. Beecher, M. D., Campbell, S. E. & Nordby J. C. (1998). The cognitive ecology of song communication and song learning in the song sparrow. In R. Dukas (Ed. ), Cognitive Ecology, pp. 175-199, Chicago: Univ. of Chicago Press. O'Loghlen, A. L. & Beecher, M. D. (1997). Sexual preferences for mate song types in female song sparrows. Animal Behaviour, 53, 835-841. Smith, G. T., Brenowitz, E. A., Beecher, M. D. & Wingfield, J. C. (1997). Seasonal changes in testosterone, neural attributes of song control nuclei, and song structure in wild songbirds. Journal of Neuroscience, 17, 6001-6010. Beecher, M. D., Nordby J. C., Campbell, S. E, Burt, J. M., Hill, C. E. & O'Loghlen, A. O. (1997). What is the function of song learning in songbirds? In Owings, D. H., Beecher, M. D. & Thompson, N. S. (Eds. ), Perspectives in Ethology, Vol. 12: Communication, pp. 77-97, New York: Plenum Press. Beecher, M. D., Stoddard, P. K., Campbell, S. E., & Horning, C. L. (1996). Repertoire matching between neighbouring song sparrows. Animal Behaviour, 51, 917-923. Beecher, M. D. (1996). Bird song learning in the laboratory and the field. In D. E. Kroodsma & E. L. Miller (Eds. ), Ecology and Evolution of Acoustic Communication in Birds, pp. 61-78, Ithaca, NY: Cornell. Beecher, M. D., Campbell, S. E. & Stoddard, P. K. (1994). Correlation of song learning and territory establishment strategies in the song sparrow. Proceedings of the National Academy of Sciences, 91, 1450-1454. Beecher, M. D., Campbell, S. E. & Burt, J. (1994). Song perception in the song sparrow: Birds classify by song type but not by singer. Animal Behaviour, 47, 1343-1351. Horning, C. L, Beecher, M. D., Stoddard, P. K. & Campbell, S. E. (1993). Song perception in the song sparrow: Importance of different parts of the song in song type classification. Ethology, 94, 46-58. Stoddard, P. K., Beecher, M. D., Horning, C. H. & Campbell, S. E. (1992). Song type matching in the song sparrow. Canadian Journal of Zoology, 70, 1440-1444. Stoddard, P. K., Beecher, M. D., Loesche, P. & Campbell, S. E. (1992). Memory does not constrain individual recognition in a bird with song repertoires. Behaviour, 122, 274-287. 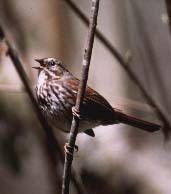 Stoddard, P. K., Beecher, M. D., Horning, C. H. & Campbell, S. E. (1991) Recognition of individual neighbors by song in the song sparrow, a bird with song repertoires. Behavioral Ecology and Sociobiology, 29, 211-215. Beecher, M. D. & Stoddard, P. K. (1990). The role of bird song and calls in individual recognition: Contrasting field and laboratory perspectives. In Berkley, M. & Stebbins, W. C. (Eds. ), Comparative Perception – Vol. II: Complex Signals, pp. 375-408, New York: Wiley. Stoddard, P. K., Beecher, M. D., Horning, C. H. & Willis, M. S. (1990). Strong neighbor-stranger discrimination in song sparrows. Condor, 97, 1051-1056. Stoddard, P. K., Beecher, M. D. & Willis, M. S. (1988). Response of territorial male song sparrows to song types and variations. Behavioral Ecology and Sociobiology, 22, 125-130. Beecher, M. D., Beecher, I. M., & Lumpkin, S. (1981). Parent-offspring recognition in bank swallows (Riparia riparia): I. Natural history. Animal Behaviour, 29, 86-94. Beecher, M. D., Beecher, I. M., & Hahn, S. (1981). Parent-offspring recognition in bank swallows (Riparia riparia): II. Acoustic basis. Animal Behaviour, 29, 95-101. Beecher, M. D. (1981). Development of parent-offspring recognition in birds. In Aslin, R., Alberts, J., & Petersen, M. R. (Eds. ), Development of Perception, Academic, pp. 45-61. Beecher, M. D. (1982). Signature systems and kin recognition. American Zoologist, 22, 477-490. Beecher, I. M. & Beecher, M. D. (1983). Sibling recognition in bank swallows. Zeitschrift fur Tierpsychologie (Ethology), 62 , 145-150. Stoddard, P. K. & Beecher, M. D. (1983). Parental recognition of offspring in the Cliff Swallow. Auk, 100, 795-799. Beecher, M. D., Stoddard, P. K., & Loesche, P. (1985). Recognition of parents' voices by young cliff swallows. Auk, 102, 600-605. Medvin, M. B., & Beecher, M. D. (1986). Parent-offspring recognition in the barn swallow. Animal Behaviour, 34, 1627-1639. Beecher, M. D., Medvin, M. B., Stoddard, P. K., & Loesche, P. (1986). Acoustic adaptations for parent-offspring recognition in swallows. Experimental Biology, 45, 179-193. Beecher, M. D. (1988). Kin recognition in birds. Behavior Genetics, 18, 465-482. Beecher, M. D. (1989). Signaling systems for individual recognition: an information theory approach. Animal Behaviour, 38, 248-261. Beecher, M. D., Loesche, P., Stoddard, P. K. & Medvin, M. B. (1989). Individual recognition by voice in swallows: signal or perceptual adaptation? In Dooling, R. J. & Hulse, S. H. (Eds. ), The Comparative Psychology of Audition: Perceiving Complex Sounds, Erlbaum. Beecher, M. D. (1989). Evolution of parent-offspring recognition in swallows. In D. A. Dewsbury (Ed. ), Contemporary issues in Comparative Psychology, pp. 360-380, Sunderland, Mass. : Sinauer. Beecher, M. D. & Stoddard, P. K. (1990). The role of bird song and calls in individual recognition: Contrasting field and laboratory perspectives. In Berkley, M. & Stebbins, W. C. (Eds. ), Comparative Perception--Vol. II: Complex Signals, pp. 375-408, New York: Wiley. Beecher, M. D. (1991). Successes and failures of parent-offspring recognition systems in animals. In P. G. Hepper (Ed. ), Kin Recognition, pp. 94-124, Cambridge University Press. Loesche, P., *Stoddard, P. K., †Higgins, B. J. & Beecher, M. D. (1991). Signature vs. perceptual adaptations for individual vocal recognition in swallows. Behaviour, 118, 15-25. Medvin, M. B., Stoddard, P. K. & Beecher, M. D. (1992). Signals for parent-offspring recognition: Strong sib-sib call similarity in cliff swallows but not barn swallows. Ethology, 90, 17-28. Loesche, P., Beecher, M. D. & Stoddard, P. K. (1992). Perception of cliff swallow calls by birds and humans. Journal of Comparative Psychology, 106, 239-247. Beecher, M. D. (1974). Pure-tone thresholds of the squirrel monkey (Saimiri sciureus). Journal of the Acoustical Society of America, 33, 196-198. Beecher, M. D. (1974). Hearing in the owl monkey (Aotus trivirgatus): Auditory sensitivity. Journal of Comparative and Physiological Psychology, 86, 898-901. Beecher, M. D. (1976). Studies on the hearing of the owl monkey (Aotus trivirgatus). In N. King & A. Jones (Eds. ), “Symposium on the Owl Monkey”, Laboratory Animal Science, 26, 1068-1072. Moody, D. B., Beecher, M. D. & Stebbins, W. C. (1976). Behavioral methods in auditory research. In D. Smith & J. Vernon (Eds. ), Handbook of Auditory Research, Charles C. Thomas: Springfield, Ill.
Sinnott, J. M., Beecher, M. D., Moody, D. B. & Stebbins, W. C. (1976). Speech sound discrimination by monkeys and humans. Journal of the Acoustical Society of America, 60, 687-695. Brown, C. H., Beecher, M. D., Moody, D. B., & Stebbins, W. C. (1978). Localization of pure tones by Old World monkeys. Journal of the Acoustical Society of America, 63, 1484-1492. Brown, C. H., Beecher, M. D., Moody, D. B., & Stebbins, W. C. (1978). Localization of primate calls by Old World monkeys. Science, 201, 753-754. Petersen, M. R., Beecher, M. D., Zoloth, S. R., Moody, D. B., & Stebbins, W. C. (1978). Neural lateralization of species-specific vocalizations by Japanese macaques. Science, 202, 324-327. Beecher, M. D., Petersen, M. R., Zoloth, S. R., Moody, D. B., & Stebbins, W. C. (1979). Perception of conspecific vocalizations by Japanese macaques: Evidence for selective attention and neural lateralization. Brain, Behavior & Evolution, 16, 443-460. Brown, C. H., Beecher, M. D., Moody, D. B., & Stebbins, W. C. (1979). Locatability of vocal signals in Old World monkeys: Design features for the communication of position. Journal of Comparative and Physiological Psychology, 93, 806-819. Zoloth, S. R., Petersen, M. R., Beecher, M. D., Green, S., Marler, P., Moody, D. B., & Stebbins, W. C. (1979). Species-specific processing of vocal sounds by monkeys. Science, 204, 870-873. Brown, C. H., Beecher, M. D., Moody, D. B., & Stebbins, W. C. (1980). Localization of noise bands by Old World monkeys. Journal of the Acoustical Society of America, 68, 127-132. Petersen, M. R., Beecher, M. D., Zoloth, S. R., Green, S., Marler, P., Moody, D. B., & Stebbins, W. C. (1984). Neural lateralization of vocalizations by Japanese macaques: Communicative significance is more important than acoustic structure. Behavioral Neuroscience, 98, 779-790. Beecher, M. D. (1971). Operant conditioning in the bat Phyllostomus hastatus. Journal of the Experimental Analysis of Behavior, 16, 219-223. Beecher, M. D. & Jackson, D. E. (1976). Rate-dependent effect of amphetamine: Extension to between-subjects effect. Psychopharmacologica, 46, 307-309. Beecher, M. D. & Beecher, I. M. (1979). Sociobiology of bank swallows: Reproductive strategy of the male. Science, 205, 1282-1285. Medvin, M. B., Beecher, M. D. & Andelman, S. A. (1987). Extra adults at the nest in barn swallows. Condor, 89, 179-182. Beecher, M. D. (1988). The adaptationist approach to learning. In Bolles, R. C. & Beecher, M. D. (Eds.) , Evolution and Learning, Erlbaum. Bolles, R. C. & Beecher, M. D. (1988). Evolution and Learning, Erlbaum. Beecher, M. D. (1988). Spectrographic analysis of bird vocalizations: Implications of the uncertainty principle. Bioacoustics, 1, 187-208. Schwagmeyer, P. L., Mock, D. W., Lamey, T. C., Lamey, C. S. & Beecher, M. D. (1991). Effects of sibling conflict on hatch timing in an asynchronously hatching bird. Animal Behaviour, 41, 887-894. Owings, D. H., Beecher, M. D. & Thompson, N. S. (Eds.) (1997). Perspectives in Ethology, Vol. 12: Communication. New York: Plenum Press. Marean, G. C., Burt, J., Beecher, M. D. & Rubel, E. W. (1993). Hair cell regeneration in the European starling (Sturnus vulgaris): Recovery of pure-tone detection threshold. 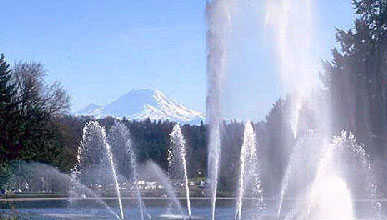 Hearing Research, 71, 125-136. Marean, G. C., Cunningham, D., Burt, J., Beecher, M. D. & Rubel, E. W (1995). Regenerated hair cells in the European starling: Are they more resistant to kanamycin ototoxicity than original hair cells? Hearing Research, 82, 267-276. Marean, G. C., Burt, J., Beecher, M. D. & Rubel, E. W. (1998). Auditory perception following hair cell regeneration in the European starling (Sturnus vulgaris): Frequency and temporal resolution. Journal of the Acoustical Society of America, 103, 3567-3580. Burt, J. M., Lent, K. L, Beecher, M. D. & Brenowitz, E. A. (2000). Lesions of avian song nucleus lMAN in female canaries affect song perception in an operant task. Journal of Neurobiology, 42, 1-13.